Whether you need to drive demand or accelerate HyperScale Appliance opportunities we have the campaign for you. 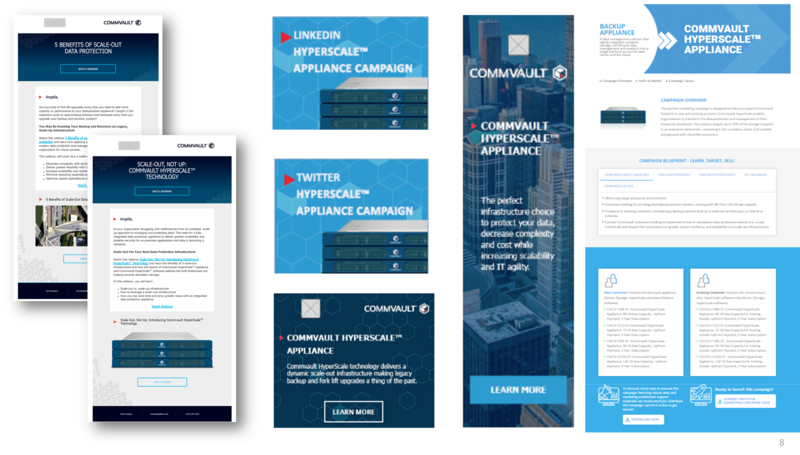 The Commvault™ HyperScale Appliance campaign is designed to help you expand Commvault footprint in new and existing accounts. Commvault HyperScale enables organizations to transform the data protection and management of their enterprise workloads. This solution targets up to 70% of the storage footprint in an enterprise datacenter, converting it into a resilient, elastic and scalable storage pool with cloud-like economics. The Commvault™ HyperScale Appliance Options campaign will help you drive more revenue by accelerating your opportunities. When you fully understand a customer’ s requirements, including budgets and timelines, you can determine the right option for them. This campaign includes three evaluation options that you can offer your prospects: Virtual Demo, Buy and Try, and Proof-of-Concept. Contact Us today to learn more about the HyperScale Appliance campaigns! Please fill out the form and one of our virtual partner marketing managers will contact you to help you execute the HyperScale Appliance campaigns.